If you're invested in the future of horror games, you'll be glad to know so is Mason Smith, owner of Airdorf Games and maker of games like FAITH, a pixelated return to the 1980s that's scared players and YouTubers alike. To introduce you to Smith, we reached out for a quick Q&A which you can now read below! I'm Mason Smith, an indie game developer from Texas with a Masters degree in Visualization. My goal is to make games that are self-contained, accessible, and unique. I love horror, retro gaming, cartoons, and spending time with family. I'll be talking about the visual design of my debut game FAITH and its various influences, particularly 80s culture (but not Zapper guns, DeLoreans, and blue-and-pink neon...rather, I'll be talking about the dark side of the 1980s). Accessibility! It is now easier than ever to enter the world of game development. There are many opportunities to work and many outlets and platforms to share your games on. It's also easy to find communities of like-minded gamers and devs who share your tastes and passions. I can only imagine how accessible the world of games will be in the future. I will always advocate for horror games. Devs for all kinds of genres should learn more about horror games! They're much more than blood, flashlights, and jump-scares. Horror games need to be entertaining but they also have to be scary. That's much harder than it sounds. This imposes additional pressure and design challenges on the developers. We have a lot to learn from how those devs created effective horror experiences. 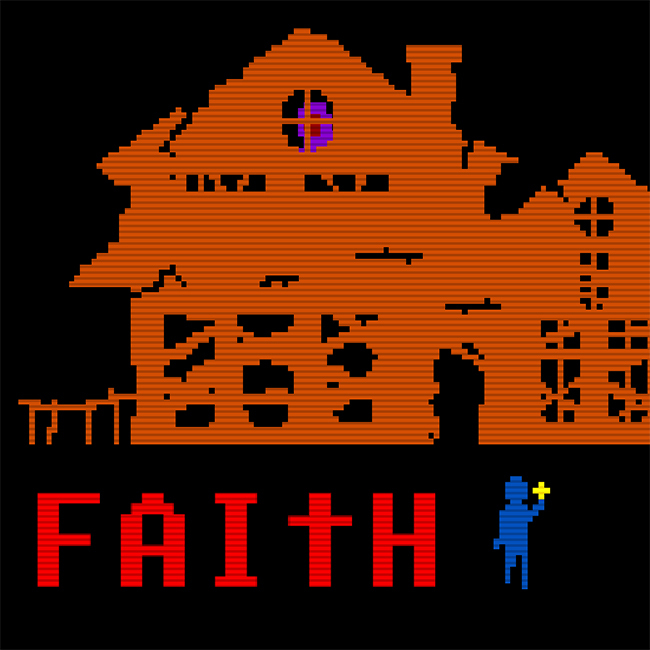 FAITH: Chapter II, an indie horror game for PC. I've never worked on a sequel before and it's been a fun challenge.